President Tom Peng opened the meeting by welcoming the participants and inviting them to visit Sun Marine Stadium in Miyazaki in the afternoon to watch the bronze medal and championship games, which had to be postponed from the day before due to weather condition. President Peng thanked Chinese Baseball Association, Hong Kong Baseball Association, Baseball Federation of Japan, Indonesia Baseball Softball Federation, and Chinese Taipei Baseball Association for the complete success in hosting East Asia Baseball Cup, U12, U18, and Asian Games as well as coach and umpire clinic. He asked BFA member Federations for their continued efforts to develop baseball. Special guests from Shenzen and Zhongshen, China are also introduced prior to their presentation in their bid to host next year’s tournament. EC unanimously approved the minutes from the last Executive Meeting (January 31, Yilan), January – June 2018 Closing Budget and Review of 2018 BFA activities. 3. Agenda: The following 2019 BFA tournaments and events were tabled and approved. In Japan, 90% players use rubber balls for the reason of safety and economical. Rubber balls are easy to be washed and reused. The official ball for BFA U15 Baseball Championship will consist of BFA president’s signature in the middle of the ball, BFA logo on the top of it, and manufacturer logo at the bottom. WBSC has done many demonstrations and events of Baseball 5 since 2017, and they would like to do seminars and clinic for promoting this event to more federations. In addition, WBSC is thinking to make Baseball 5 into an international tournament. Mr. Syed Fakhar Ali Shah, BFA West Asia Baseball Development Executive Director, expressed his interest in holding Baseball 5 in Pakistan next month, and he also addressed Bangladesh’s participation intention in BFA future events. III. Report by Ms. Hiroko Yamada, BFJ on Pakistan’s withdrew participation in XII BFA U18 Baseball Championship: Because of Team Pakistan’s withdrawal just one day before the tournament, BFJ is incurred huge loss such as cancellation of hotel, meals etc. EC meeting asked Pakistan Baseball Federation and BFJ enter into negotiations to find out the best way of resolving the losses, and urged once again that federations should not withdraw from events at the last minute. The names of 10 National Federations are reported. 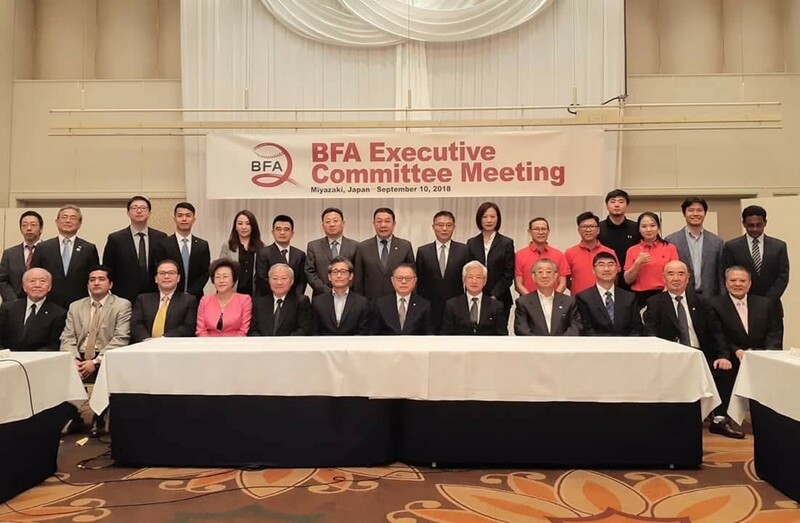 Mr. Chen Xu, BFA Vice President expressed his willingness to hold next BFA Executive Committee Meeting in Shenzhen, China. Date and place will be announced once the proposal is approved at the next EC meeting.